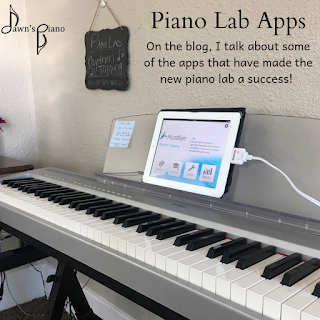 In the past year, I've reviewed a few different sight reading apps, because as we all know, I think sight reading is important. 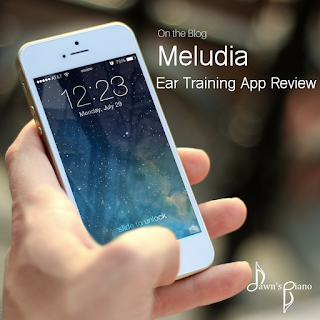 But today's app is a little different, Meludia is an Ear Training app that works on developing good aural skills in musicians. 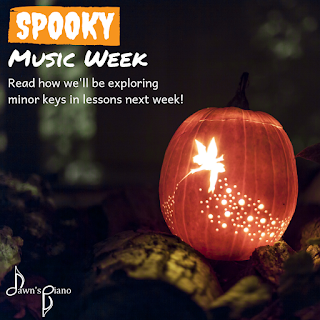 Aural skills are what we use to play a song by ear, to take a melody we've heard and translate it into keys, steps, skips, intervals & chords. It's what helps us learn a song by rote - when there isn't any sheet music and we're taught note by note. 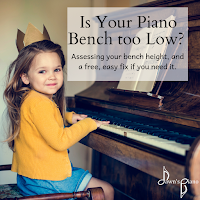 It's also what helps us catch when we've played a wrong note. 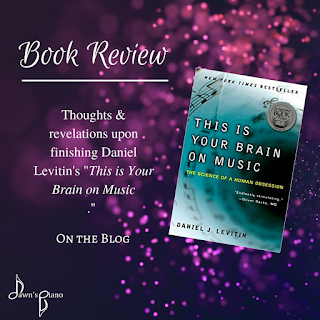 And the more notes being played, the harder it can be to catch small mistakes within the chords or passages, so our ears have to be well trained to picking up each tone of a chord, or each note in a phrase or pattern. Ear Training is an essential skill to being a well-rounded musician. 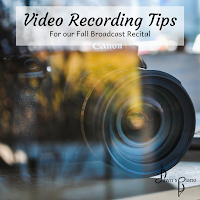 In light of our upcoming digital recital, I decided to put together some quick tips for taking a good video of your performance at home. First, where to shoot from. 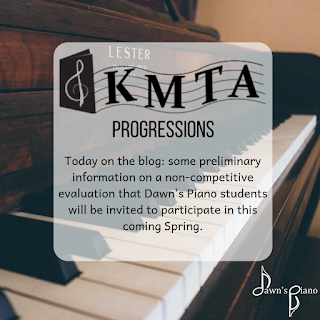 Similar to video lessons, when recording a performance, we want to be able to see the performer's face & hands on the keys, so a profile view is simple & effective. 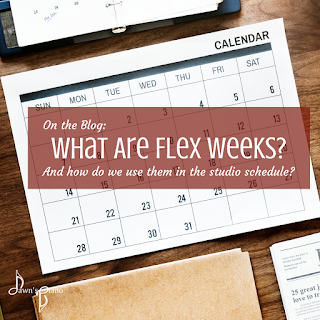 You are welcome to get fancy with angles if you like, but it's definitely not required. Second, setting up your equipment. Now, if you have a DSLR & a tripod, or a USB mic & a computer with video software, you know how to do this, you can skip to step 3. Set your recording device down on something to avoid shaking in the video. 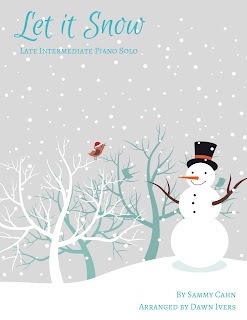 But we don't want to set it on the piano itself. This is because the sound can distort when the microphone is in contact with the instrument. 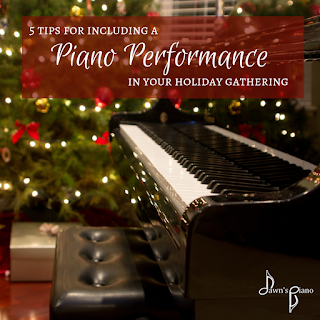 Third, Introduce yourself, play your piece, thank your audience. 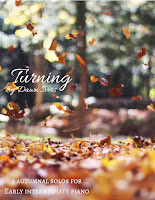 Turning is a collection of 5 autumnal piano solos for early intermediate pianists. 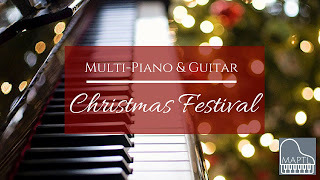 Each solo is in a different style that will bring variety to a performance, or give an individual student a chance to increase their stylistic range. And for more creatively inclined students, two of the pieces (Acorn Boogie & Twilight) have optional improvisational sections. 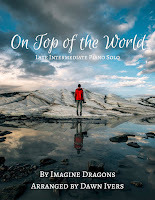 The solos are leveled as early intermediate and would be appropriate for learners of all ages. This collection seeks to capture the cozy joy & serenity that a lot people feel during this season as scarves & boots resurface, and pumpkin spice everything abounds. 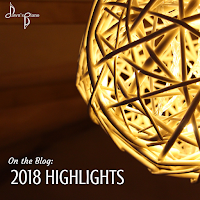 But a few pieces also have elements of the wistful mysteriousness that can accompany the changing seasons and shorter days as the summer dies, the air grows more chill, and we watch the leaves begin to fall. You can give them a listen in the music player below, and if you're interested in the sheet music, you can view purchasing options here.